Tiffany Taylor took a deep breath, reminded herself to give it her best, and calmly walked onto the stage. She had just three minutes and three PowerPoint slides to explain her years of research on glioblastomas—the most common and deadliest form of malignant brain tumors in adults—to a crowd of non-experts. She was prepared for this. What she didn’t expect was to be called back onto the stage later in the evening as the first place winner of UC San Diego’s 3rd annual Grad Slam. Her prize: $2,500 and a chance to compete against students from all ten University of California campuses at the systemwide event on April 22. Ten UC San Diego graduate students from a variety academic disciplines participated in the Grad Slam finals, held April 14 in the Student Services Complex Multipurpose Room. 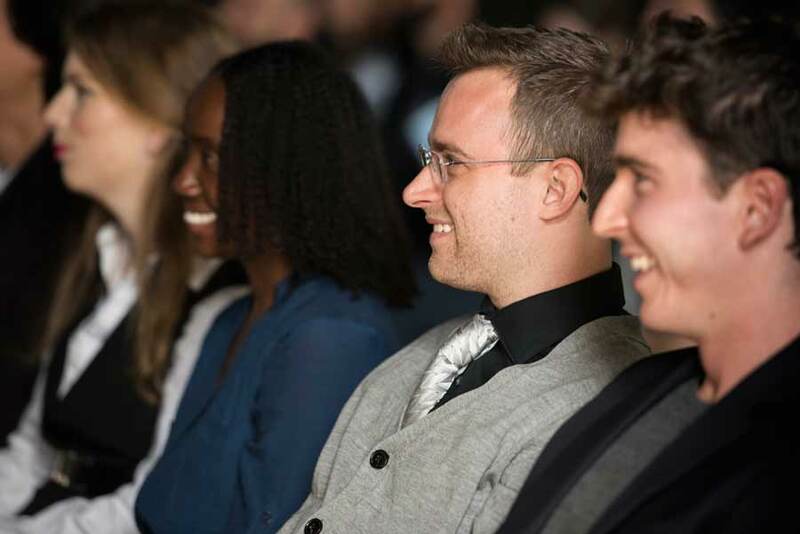 Hosted by the Graduate Division, the competition challenges students to break down complex research into bite-sized TED-style talks that are understandable and engaging for a general audience. Topics ranged from wearable biofuel cells, to quantitative fisheries science. Taylor opened her talk, titled “Using ‘Central Intelligence’ to Fight and Conquer Brain Tumors,” with an alarming statistic: Each year, about 18,000 American adults are diagnosed with a type of brain tumor called a glioma. And almost the exact same number of people die from the disease each year. Taylor went on to explain why these tumors are so hard to defeat, using the metaphor of a yo-yo to describe the cycle of tumor recovery. Then she shifted to why this happens. Gliomas are mosaics of cells that can be genetically very different, she explained. So when hit with a single target-based therapy, tumor recovery will also be very different. Taylor’s research involves identifying the different ways that tumors can recover from one type of single target-based therapy, called anti-EGFR. This “central intel” on how gliomas recover could enable clinicians to match follow up treatments to the individual tumor, and effectively kill it. “So that now the recovery we see are not these tumors, but the people who are battling this disease every day,” Taylor concluded. To help students prepare for the competition, the Center for Student Involvement and Qualcomm Institute provided workshops and one-on-one coaching at the One Button Studio, a campus resource for rehearsing presentations and for developing high-quality video projects. From translating technical work into an impactful story, to practicing timing, gestures and pacing, the sessions provided students with tips and strategies to effectively share their research. 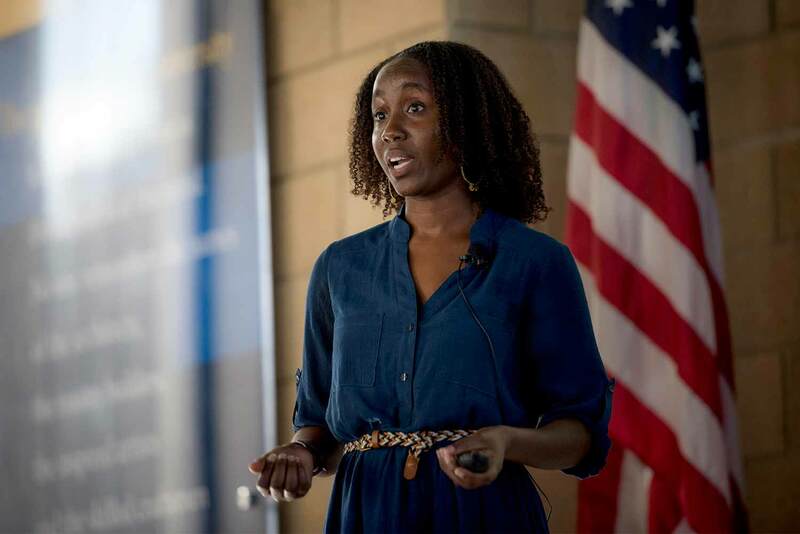 Grad Slam is part of a broader effort to help UC San Diego graduate students with professional development. 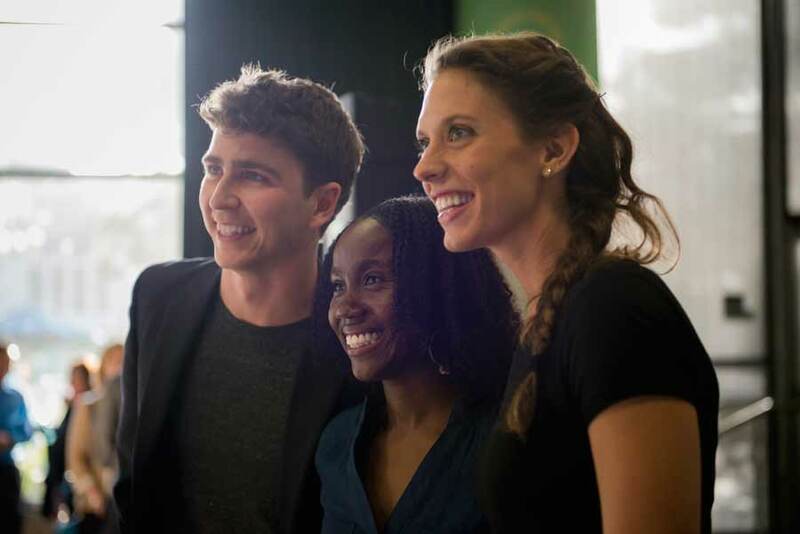 Last summer, the Graduate Division launched Gradvantage, a series of programs to help students develop the leadership, communication and teamwork skills necessary to excel in the 21st century workplace. Taylor participated in one the first Gradvantage programs, a four-day communication workshop called “Inspiring Research: Creative Strategies for Communication.” She learned techniques such as incorporating gestures, how to engage an audience and storytelling—all of which she says helped when she started practicing for Grad Slam. “I think it’s really important for scientists to be able to explain their research to a general audience—to be able to effectively communicate at the same level as the person they are trying to reach,” said Taylor. This skill is especially valuable for what Taylor wants to do in her career. She is passionate about science education, and one of her primary goals is to serve in a role in which she can help empower K-12 students from underrepresented backgrounds to pursue education and careers in science. 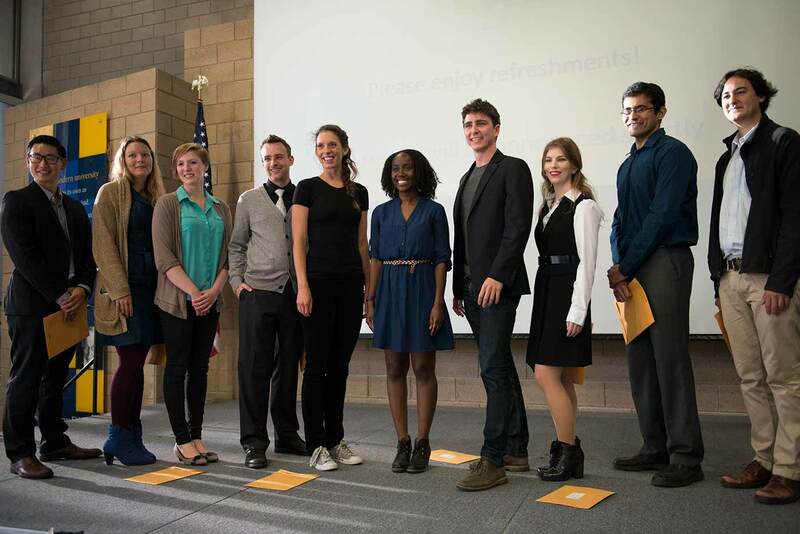 In addition to Taylor, the UC San Diego Grad Slam winners included Mary Glen Fredrick, who took second place, and Lorenzo Rossini, who placed third. Fredrick is a theatre and dance graduate student; Rossini studies mechanical and aerospace engineering. The UC systemwide Grad Slam will take place April 22 at 11:30 a.m. Watch the livestream here.